Alpha Amylase (Non-bacterial) Activity – Dextrining units (DU). FCC Method. Alpha Amylase (Bacterial) Activity – Bacterial amylase units (BAU). FCC Method. Alpha Galactosidase Activity – Galactosidase activity units (GalU). FCC Method. Beta-Glucanase Activity – Beta Glucanase Unit (BGU). FCC Method. Bromelain Activity – (GDU) – Supplier Specific Method. Catalase Activity – Baker Units (BU). FCC Method. Cellulase Activity – Cellulase Units (CU). FCC Method. Ceralpha Amylase – Ceralpha Units. AACC #22-02.01 Method. Chymotrypsin Activity – USP Chymotrypsin Unit. FCC and USP Method. Diastatic Activity of Honey – Diastase Number (DN). AOAC Method 958.09. Glucoamylase Activity – (GA unit). FCC Method. Glucose Oxidase Activity – Glucose Oxidative Titrimetric unit (GOTu). FCC Method. Hemicellulase Activity – Hemicellulase Units (HCU). FCC Method. Invertase Activity (SU) – FCC Method. Lactase (Acid Beta Galactosidase) Activity – Acid Lactase Units (ALU). FCC Method. Lactase (Neutral Beta Galactosidase) Activity – Neutral Lactase Units (NLU). FCC Method. Lipase Activity – FIP Units (FIP unit). FCC Method. Lipase Activity – (LU). FCC Method. Lysozyme Activity – Various Methods. Malt Diastase (Diastatic Power) – FCC Method. Nattokinase Assay – Fibrinolytic Units (FU). Japan Bioscience Laboratories Method. Pancreatin (Amylase, Protease and Lipase) Activity – USP Method. Pancreatin Amylase – Starch Digestive Power. USP Units. USP Method. Pancreatin Protease – Casein Digestive Power. USP units. USP Method. Papain Activity – USP Method. Pectinase Activity – Methods in Enzymology and Supplier Specific Methods. Pectin methyl Esterase – Pectinesterase – Methods in Enzymology. Pepsin Activity – FCC Method. Pepsin Activity (HUT) – USP Pending Method. Peroxidase Assay – Methods in Enzymology and AACC Methods. Phytase Activity (FTU) – FCC Method. Polyphenol Oxidase Activity (PPO) J. Food Sci. 71:51-58. Protease (Bacterial) Activity – Bacterial Protease Unit (PC). FCC Method. Protease (Fungal) Activity – Hemoglobin Units on a Tyrosine Basis (HUT). FCC Method. Protease (Plant) Activity – Papain Unit (PU). FCC Method. Serrapeptase Activity – Japan Pharmacopeia Method. Superoxide Dismutase (MFU) – McCord, J. M. and Fridovich, I. (1969) J. Biol. Chem. 244, 6049 6055. Trypsin Activity – USP Trypsin Units. FCC and USP. Trypsin Inhibitor Assay – AACC Method. Xylanase Activity – Bailey and Pouanen, 1989. 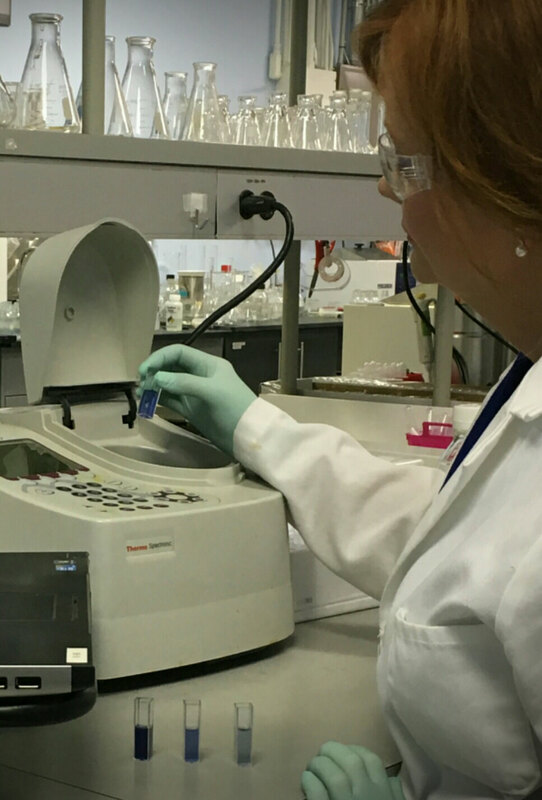 We offer many other assay options or will assist you with method development appropriate to your application.